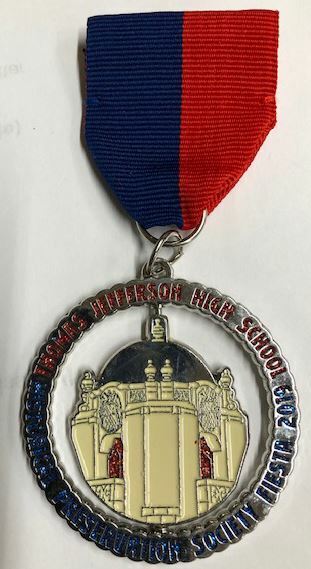 Our 2019 Fiesta medal is ready for sale at $10.00. One side of the dome has blue lights in it, and the other side is red. 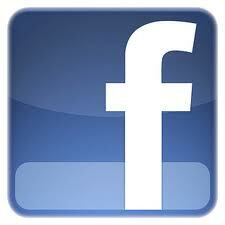 04/13 at the TJHS HPS Open House at Thomas Jefferson High School from 11:00am-1:00pm. Medals are still available at Good Time Charlie’s Bar & Cafe (2922 Broadway St) and Junction Antique Mall (1704 Blanco Rd). Always on sale at the store on this website. We need a shot in the arm to get the next (third) batch of bricks laid. We have orders for about 75 bricks right now., but we need more to move on engraving and laying. We need at least 100 bricks to have a set engraved. We need at least 200 to put a batch in the ground. We hate to make people wait so long after they buy a brick before they see it on campus, but our stewardship of the Society's funds requires that we do things only at financially advantageous breakpoints. Put this project on your social media to reach out to as many Jeff grads as you can to help get those bricks into the ground. Are you a JEFFERSON MUSTANG? Add your name to the Thomas Jefferson High School Mustang Legacy Circle. Over 500 people already have their names around and near the flagpole on the front lawn of Jefferson. Immortalize a family member, a friend, or yourself by purchasing an engraved Memory Brick. The funds raised go to help restore the student council patio fountain. Download a list of all engraved bricks that are in place as of 9/19/2017. The highlighted classes have a brick in the Mustang Legacy Circle. Get your class involved! See this beautiful picture-laced article of some very impressive school buildings. Jefferson is #3!